On 11 August, at the 2016 Lowy Institute Media Awards dinner, the keynote address was delivered by Michelle Guthrie, managing director of the ABC. Thank you for the introduction, Michael. I would particularly like to acknowledge in the audience, the ABC’s Chairman, Jim Spigelman who is here tonight in his capacity as an Institute Board member and his fellow board members Steven Lowy and Mark Ryan. I also acknowledge the Award judges, Michael, Mark, Peter Varghese, Anna Funder and Monica Attard. It is a great honour to be here tonight. I must admit, amid the flood of speaking invitations I received even before I started, this was the one I most eagerly embraced. Like last year’s speaker, Robert Thomson, I am an Australian who has lived and worked overseas for an extensive period. This time abroad may have made me notionally a citizen of the world but I have always retained strong links back to Australia and a healthy appreciation of its history, achievements and ambition. Like Robert, I am very passionate about my home country and optimistic about its future (which includes winning a swag of medals at the Olympics). My first few months at the ABC have highlighted the importance of an international perspective in the job. The ABC is an immensely proud Australian institution with an 84-plus year history. However, if it is to flourish up to – and beyond – its 100th birthday, the Corporation cannot pretend that best practice will come from looking inward. Our audiences and our media colleagues long ago transcended national borders and the ABC needs to be truly global in its thinking and its actions. The challenges the ABC is facing are the same as those confronting every media company in the world – from the traditional players, through to the new, digital upstarts. Consumers today hold the power, instantly demanding information and entertainment from anywhere in the world. They demand a seamless audience experience and expect a constant improvement in that experience. At Google, my previous employer, that meant not being complacent about being an information service or search engine. At the national broadcaster, it means being able to deliver content that is distinctively “ABC content”, regardless of the platform on which it is being carried and consumed. It means finding new ways to connect with audiences that ensure that the ABC and its Charter are relevant to their lives every day. I remain to be convinced of the long-term prospects of some of the new wave of media companies. They offer quick “hits” for their target audiences, via short, attention- seeking news items and clips, or listicles that generally lack substance. It could be argued that their content is as shallow as their revenues. Every action has a reaction. I think that there has been a welcome flight to quality, as producers across the globe realise that the best way of standing out in a crowd is to provide content that connects, inspires and enthrals people. In today’s media world, instant news has become something of a commodity. Audiences have immediate access to a range of sources – some questionable, some not – on almost every major news event. This means that in the news space, the key to longevity is in the “value add”: that undeniable extra that a news organisation can bring to the conversation such as the investigative piece, the in-depth analysis, the local angle, the incisive and through-provoking debate, the forensic interview. Allow me to beat the ABC’s drum just a little tonight. We have seen a great deal of value adding at the ABC in recent weeks. The accountability we have sought from our newly-elected politicians through rigorous questioning on programs like Q&A, Insiders, AM, RN Drive and Breakfast, 7.30 and across our local network. This is the ABC at its best. Informing, educating and entertaining. Investigations like the searing ‘Australia’s Shame’ put together by Caro Meldrum-Hanna and her team on Four Corners that prove the adage that: real news is revealing what someone else is trying to keep secret. And, in the ABC’s renowned election pundit, Antony Green, we are seeing the audience eagerly share the ABC’s 25-year investment in knowledge and trust. Quality journalism at the ABC is not confined to our shores. In recent weeks, the Corporation has demonstrated the benefits of its international commitment with extensive coverage of the big issues like Brexit; the deadly terrorist attacks across Europe, the Middle East and the US; and the US primaries that have now morphed into a Clinton versus Trump showdown. The facts speak for themselves. At a time where other media companies have whittled away their overseas reporting capacity, the ABC has maintained a strong level of investment and service. Despite the pressure of overall budget cuts and the need to better align our internal news investment, the ABC dedicates more than $13 million annually to overseas reporting, with a footprint unmatched by any Australian commercial operation. Our 26 correspondents and camera operators are based amongst our 11 international bureaux, with major content hubs in London, Washington DC, Jakarta and Beijing. This structure allows our journalists to travel within their region to compile stories, while the ABC’s smaller offices in Tokyo, Bangkok, New Delhi, Port Moresby, Nairobi, Jerusalem and Beirut ensure that our coverage is well rounded and covers the globe. This investment by the Corporation in overseas reporting and analysis is against the trend of a massive contraction in international coverage, depressingly catalogued by the Prime Minister in his address to this forum two years ago. The trend has not abated, for reasons we are all familiar with. No doubt because of this, the ABC has increasingly become the destination for big-breaking news events. The village might have become global in the digital world, but it still requires our presence to bear witness and to provide audiences with knowledge of events as they occur. On News24, our coverage of the historic Brexit vote resulted in a daily reach of 1.3 million as people moved in and out of the rolling coverage. Excluding the federal election peaks, this was our biggest audience in 2016. Again on News24, our rolling coverage of the terror attacks in Nice on 15 July reached 1 million Australians. There were 212,068 video plays on the ABC News website, and 12,345 from the News 24 live stream. For a dedicated 24-hour TV news channel, these are impressive figures, testament to the ABC’s dogged pursuit of the task of engaging people in international issues. This core responsibility of our News Division – to help Australians both here and abroad make sense of a world of rapid change and immense complexity - will remain a priority. This is one area of comparative advantage that the ABC must exploit to the benefit of all Australians. Of course, that does not need to be done solely through conventional programming. As we have seen with Jon Stewart and Stephen Colbert in the US, a sense of humour and non-conventional approaches can be just as effective in educating and informing audiences. Planet America on ABC News 24 supports this approach. Tonight, we recognise journalists whose work as foreign correspondents, analysts and commentators has heightened our understanding of events overseas. The Lowy Institute Media Award is the pre-eminent prize in this field. Previous winners have excelled at their ability to cover breaking world events and, just as importantly, in an era where anyone with a smart phone or a twitter account can call themselves a “journalist”, to get behind the headlines and to provide valuable insights for audiences at home. As the judging criteria makes clear, topicality and quality of writing and broadcast are not the only benchmarks. The finalists are also assessed on their ability to bring attention to a new international issue or idea or to re-examine an existing issue from a new perspective. This sets a very high mark, indeed. The ABC has strong links to the Lowy Institute and last year we were delighted to have Dr Michael Fullilove deliver the ABC’s 2015 Boyer Lecture series. The first lecture in the series was delivered in Shanghai, marking the first time in its history a Boyer lecture had been given overseas. Dr Fullilove’s series embodied everything the Lowy Institute stands for – intellectual rigour, the challenging of ideas, and setting out Australia’s place in the world. Monica Attard is another judge of tonight’s award with a great link to the ABC. Monica is best known for her compelling reports in 1991 on the collapse of the Soviet Union, although that understates her work elsewhere. Monica is doubtless the only person here who can claim to have ridden on a tank through the streets of Moscow in her pyjamas, while delivering live reports on one of the biggest global events in the 20th Century. The roll call of ABC foreign correspondents is a roll call of Australian journalism itself. At the considerable risk of omission, I will refer, as an example, to the memorable work done by Chester Wilmot and John Hinde during the Second World War; Mike Carlton and Tim Bowden in Vietnam; Paul Lockyer and Paul Lyneham; and their successors like Sally Sara, Zoe Daniel, Sophie McNeil and Phil Williams. And a special mention to another Chinese-Australian, Helene Chung, who broke barriers to become the first non-white reporter on Australian television and, as Beijing correspondent, the first female posted abroad by the ABC. It is interesting that for all the focus on me as the first ABC managing director to achieve dual firsts, being both female and of Asian descent, Helene was paving the way in 1974, before I entered high school. Helene and the others I have named are just some of the many ABC journalists who have packed their passport alongside their notepad to make their mark overseas. We thank them- and their talented colleagues- for their endeavours past and present. In the three months I have been at the ABC, Monday nights have become something of a ritual. When my diary permits, and currently I am averaging one in every two programs, I head down to the Q&A studio to get my weekly fix of participatory democracy. Q&A, with its many moving parts, is a pivotal program for the ABC. It is here that politicians and thought leaders are held accountable for their actions and policies; where ideas are vigorously debated and where the public is provided a chance to ask probing questions. In full flight, Q&A is one of the best examples of the ABC acting as a public commons, a place for people to converse and interact. Many of you here this evening would have tuned into Monday nights stimulating debate about the US presidential race, featuring an erudite panel, including former Foreign Minister and NSW Premier, Bob Carr; American author and satirist, PJ O’Rourke; and non-resident Lowy fellow, Lydia Khalil. I had the advantage of witnessing the quips and insights from both the control room and the audience. I came away with a reinforced notion of how important it is that that the ABC continues to commit the resources, energy and expertise necessary to raise these issues and connect them to a domestic audience. It is important, also, that in acting as a town square, the ABC does its best to bring international perspectives to its own debates. I was struck, at the very first Q&A I visited as Managing Director, by how knowledgeably visiting US writer and another non-resident Lowy fellow, James Fallows, spoke about Australia’s budgetary issues and how he could frame the policy debate in a far broader context. It is a truism that journalists and diplomats work in the same circles and that the good ones share many of the same traits: curiosity, the ability to connect with people, and to distil and communicate complex matters. Control of information is a very lively and timely topic. We have witnessed attempts by authoritarian governments to suppress free information, and engaging in a technological “arms race” with their own citizens over access. We also live in a world where hackers are able to penetrate cyber walls to extract data that even democratic and open administrations may prefer was kept secret. The Census furore of this week shows that even routine government tasks can be affected by cyber attacks. The challenge for journalists and diplomats is how best to master the new technologies and, amid the confusion and often deafening noise from competing echo chambers, best target their audiences. “to countries outside Australia, programs…that will encourage awareness of Australia and an international understanding of Australian attitudes on world affairs”. There is also a separate remit to keep Australian expatriates – an ever-increasing and influential group – informed. These are responsibilities the ABC takes seriously despite the loss of the Australia Network contract in 2014. The ABC’s status as an independent public broadcaster is its most potent tool – its reputation for delivering news and information without fear or favour is what makes it such a highly regarded institution, not only in Australia, but within the region. We act as an ambassador for our country in the same way the BBC projects impartiality and quality on behalf of the United Kingdom. The ABC International Division provides the strategic focus for the Corporation’s international Charter obligations. 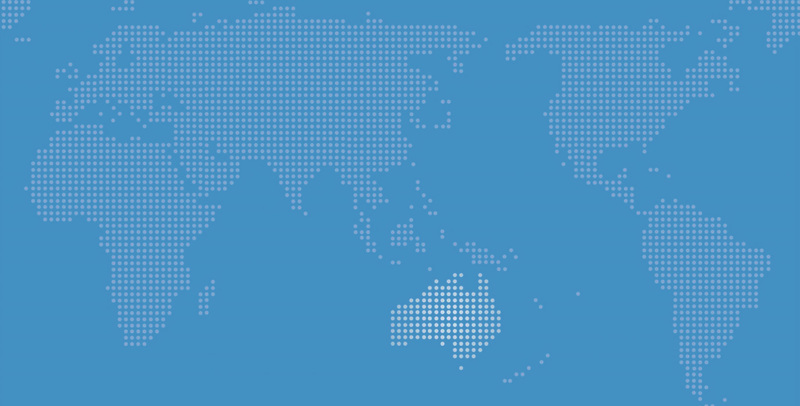 The Division’s development of the AustraliaPlus service, with its digital syndication and partnership strategy has significantly increased the ABC’s penetration in Asia and the Pacific. We are closely considering way in which to increase our reach in the key markets of China, Indonesia and the Pacific. I have just returned from Jakarta where I helped launch the ‘Window on Australia’ program, a month-long showcase of Australian stories broadcast by Indonesia’s largest media group, MNC, and published on leading two leading online sites, Detik and Kompas. This project involves Indonesian journalists travelling to Australia to cover Australian stories through Indonesian eyes, providing increasing awareness in areas like travel, education, food and even religion, with a focus on the celebration of Ramadan in Australia. This is a very novel but effective way of reflecting Australia and Australian perspectives to an international audience. In the Pacific, where there are quite different audience needs to Asia, the focus is on exploring new distribution channels to reach people and an expanded content offering for the region that would include English and Tok Pisin (or pidgin English) audio content and an enhanced Pacific Beat News service. Again, a globally-attuned ABC will make best use of its partnerships with international broadcasters to service its audiences across different platforms. Each day, the ABC produces an amazing amount of rich content. My aim is to ensure that we use the best of our multi-platform prowess and the content that is carried on it to better service our overseas audiences. There are obvious rights issues to work our way through but my goal is to develop a responsive and customisable international service utilising the best of our apps, our catch-up service iview, and our main online site, abc.net.au. This would allow an 'international view' of the ABC to be curated and for international audiences to 'personalise' that service to meet their individual needs, such as for in-language content. Such an initiative is a great example of the ABC delivering on its charter and, in the process, contributing to the soft power push that bolsters Australia on the world stage. I think many here tonight would agree that even in these security-challenged times, or perhaps because of them, the ability to promote one’s country’s reputation, values and skills and to promote the change of ideas and information, is paramount. In large parts of the world, there appears to be a political and public tendency to retreat inwardly, or as The Economist noted last month, to “pull up the drawbridge”. Perversely, the inward pressure is being matched by an external drift to the use of soft power tools to achieve national ambitions. Having spent such a large amount of time overseas and seen the sums that are being invested in media outreach, it is perplexing that we are punching well below our weight in the exercise of soft power. The Russians, Chinese and some Middle East Nations like Qatar are taking megaphone diplomacy to new levels, utilising social media and older media channels to spruik their cases. But even our close neighbours like Korea, Singapore and Japan, are investing big sums in promoting their nation’s values and achievements. The aggressive spending by some nations has given rise to what many are calling a “democratic deficit” in global communications – an ever-increasing shortage of impartial news and information to counter the spin and self-promotion. I note that last year, the British Government actually reversed its strategy to take money from the public broadcaster, acknowledging that it needed to increase its global reach and to promote democracy through accurate, impartial and independent news reporting. The BBC World Service was given an additional £85m a year to develop services in key markets including Russia, North Korea, the Middle East and Africa. German broadcaster, Deutsche Welle, last year launched a 24-hour English-language news channel and dispatched new correspondents to Bangkok, Lagos, New Delhi, Nairobi and Cairo. Before anyone interprets this as a push by the ABC for more funding, I simply say that Australia needs an informed and comprehensive debate about how best to position itself in this increasingly competitive world. In a speech at a recent innovation conference, I pointed out that the creative side of the innovation agenda is often overlooked. Coming from the creative sector, I think it is important that we focus on the great work that is performed by Australians in this space - and how that can be used to good advantage. Too often our efforts to showcase creativity are disjointed and focusing on the short-term. Soft power requires a long game and good strategic investment. I fully endorse Dr Fullilove’s statement in his Boyer lectures that “we need to sharpen our tools for dealing with the world”. I think the Lowy Institute has done a fantastic job in living up to its objectives to deepen the international policy debate in Australia and to give Australia a greater voice on the international stage. I would like to think that the ABC, through its Charter actions, is doing the same.